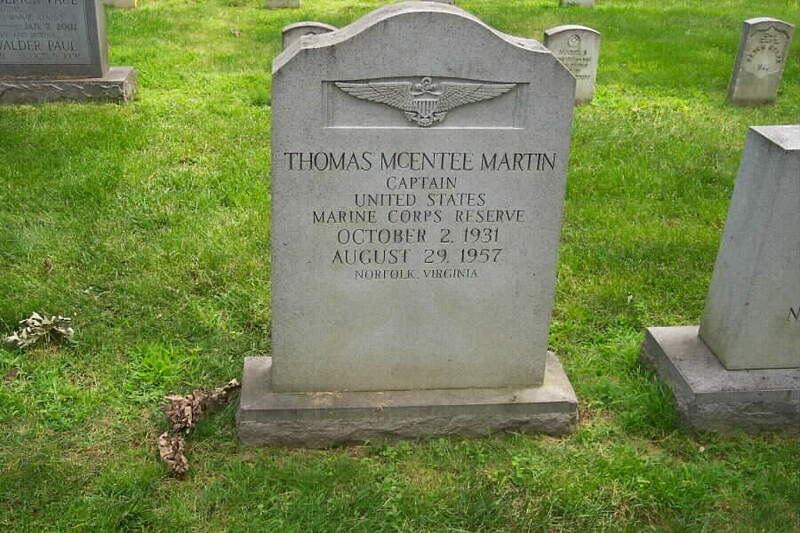 Thomas McEntee Martin of Norfolk, Virginia, was born on 2 October 1931. In Korea he served in the First Marine Air Wing and the Second Marine Air Wing. He also later served in the Second and Third Marine Divisions. He was also the Editor-in-Chief of the Cavalier Daily at the University of Virginia, and a member of the Student Council at the University of Virginia. 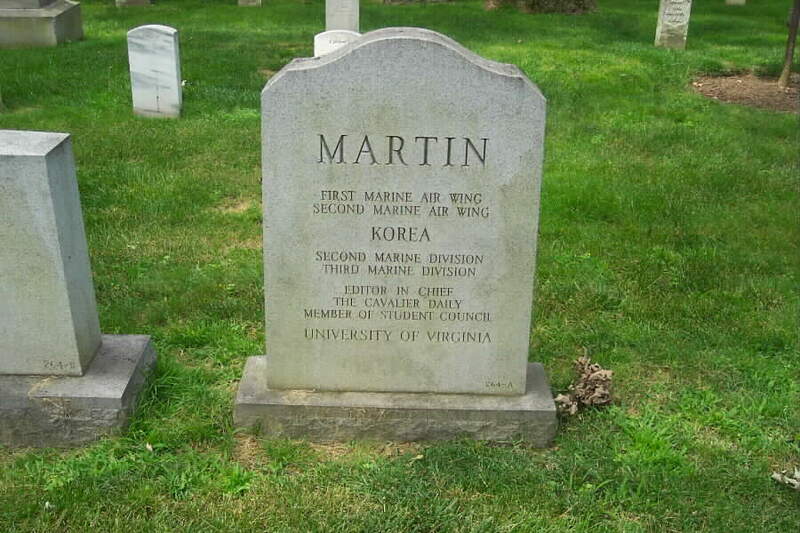 Captain Martin died on 29 August 1957 and was buried in Section 1 of Arlington National Cemetery.